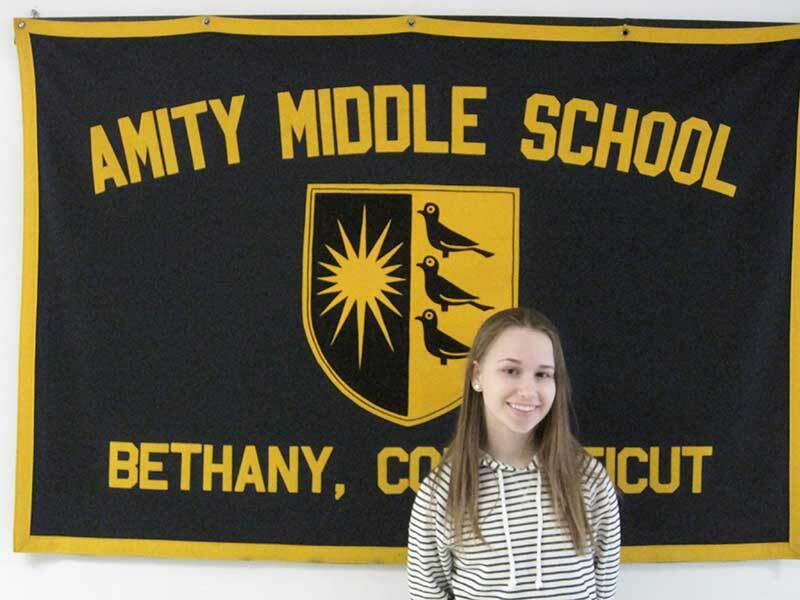 Every year the staff of Amity Middle School in Bethany recognize a person in the community for outstanding contributions to the staff and students with the “Friends of Amity Award.” This year the award was presented to Lee Keylock, a parent, Woodbridge resident, and Global Director of Narrative 4. 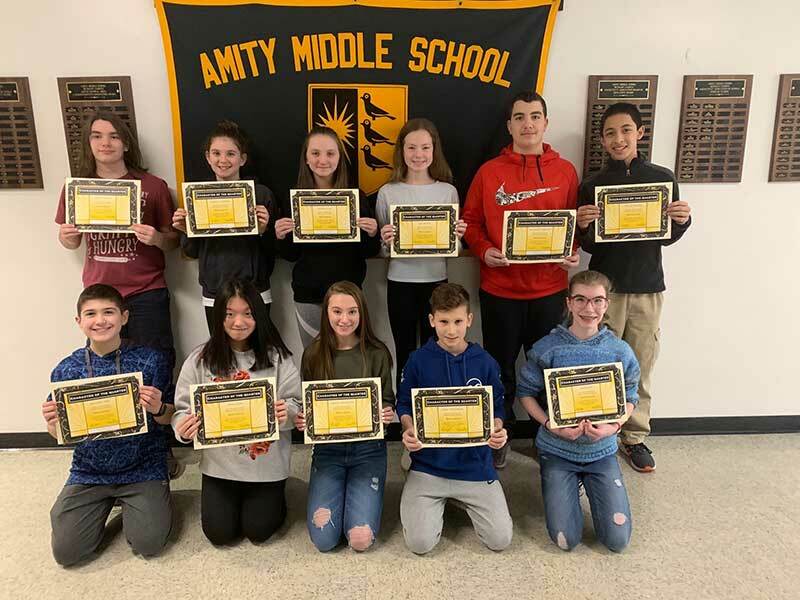 Mr. Keylock was instrumental in bringing the program, “Narrative 4,” to Amity Middle School in Bethany and the Amity Regional School District No. 5. “Narrative 4” is a global organization that harnesses the power of the story exchange to equip and embolden young adults to improve their lives, their communities, and the world. 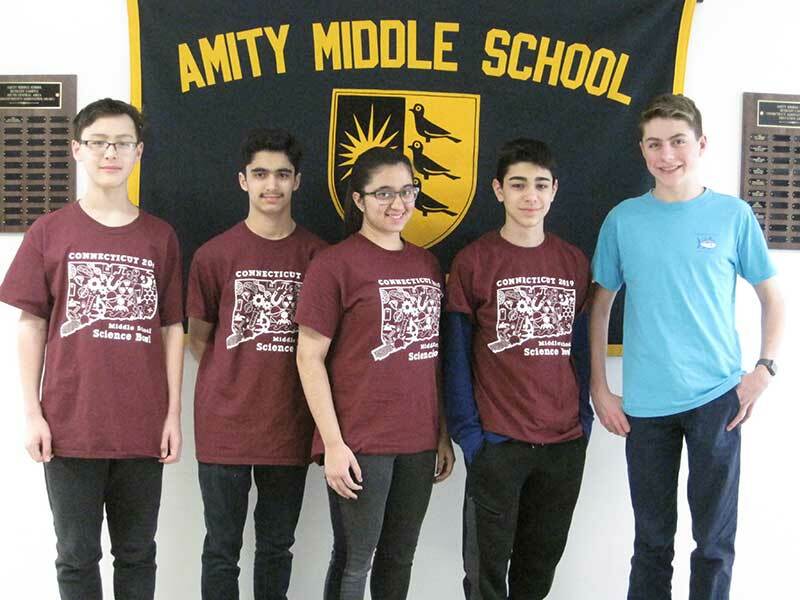 Last November as part of “Narrative 4” Mr. Keylock helped arrange for families from Amity Middle School in Bethany to meet Maroon 5 bassist, Mickey Madden, and world-renowned author, Colum McCann, as they introduced parents and students to the global, empathy organization. Dr. Richard Dellinger, principal, presents Lee Keylock the “Friends of Amity Award” along with a donation to the Narrative 4 organization.